Every month on the OneKind Planet campaign page we like to show support for a worthwhile cause. In November last year, we chose palm oil – read our campaign and show your support here – and continue reading for more information on why you should be more careful about what you buy. Palm oil is the worlds most widely used vegetable oil. It’s in roughly half of supermarket products, everything from lipstick, ice cream, shampoo, cookies and even washing detergent! Made from the fruit of the West African oil palm tree, palm oil is grown throughout the tropics. Its extensive production is a key driver in the deforestation of tropical rainforests, which puts a considerable number of species at risk. For example, orangutans are now critically endangered as a result of its production – watch Greenpeace’s famous video about orangutans and palm oil below. Unfortunately this is just the tip of the iceberg. Burning to clear forests contributes to climate change by releasing carbon stored in the trees. And, it increases air pollution throughout Southeast Asia, which has negative consequences on people’s health. There are also soil and water pollution and soil erosion from plantations to worry about. Furthermore, many plantations displace indigenous people, ignoring their land rights and also violating worker’s rights to fair pay and safe working conditions. It is a social as well as a biological one. Where is palm oil an issue? Worldwide! Oil palm plantations currently cover an area the size of New Zealand. Malaysia and Indonesia account for approximately 85% of production, with an estimated area the size of a football pitch cleared every 25 seconds in Indonesia alone. However, we must not forget this is an issue for all of us. Palm oil products are available worldwide, and global demand drives production. 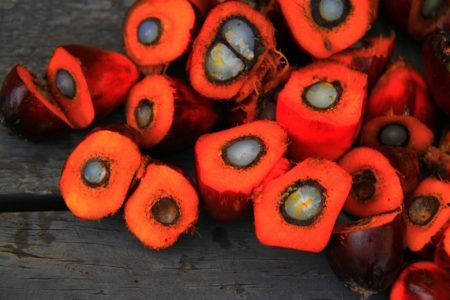 Why can’t we just ban palm oil in all our products? Unfortunately, it isn’t as simple as just banning palm oil. Yes, there are severe issues with palm oil, but unfortunately, we have no better alternatives. 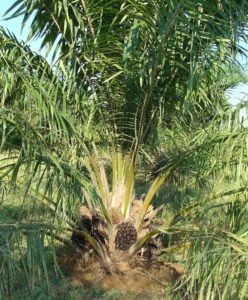 Palm oil is the most efficient oil crop; it provides 1/3 of the world’s vegetable oil from 10% of the land used for oil crops. It is also much cheaper to produce than other oil crops. Therefore, switching to alternative oil would just move the environmental issues to another area. Palm oil also plays an important role in reducing poverty. Millions of farmers and their families are part of the palm oil economy in producing countries. Stopping production would cause significant problems for those who have no other alternative and rely on the industry to survive. Although this is a complex issue, there are many things we can do as a consumer to help. For starters, avoid foods where palm oil seems an unnecessary ingredient. If an item does contain it, look for the RSPO or Green Palm label to ensure it comes from a sustainable source. You can also support our campaign here to pressure big brands to use sustainable sources.